UCI has long provided faculty, staff, and graduate students a flexible, online, file sharing service in Webfiles. An introductory article on Webfiles can be found in the IT News Archives. 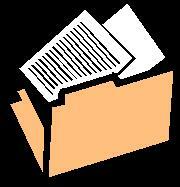 The simple Webfiles operations – uploading documents, setting permissions, creating directories – are easily mastered. However, Webfiles has features very useful in file sharing which are not as obvious but that you should be aware of. Tickets are a method for defining permissions to a document or directory in your Webfiles account, which you can then email to other people so they can access the material. They act as web links which take your colleague directly to the document. You can specify such things as a window of time in which access is granted, whether it grants read-only permission or read-write, or even that a document may only be accessed a fixed number of times. You can specify a password and share that separately, in the event the URL gets publicized to people you didn’t mean to give access. Bookmarks are shortcuts to files and directories in your account – or that of someone else to which you’ve been granted access. 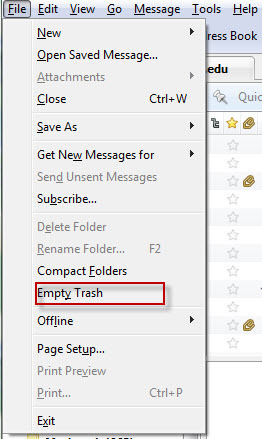 They are presented in their own small area on the left hand side of the Webfiles display. Like bookmarks in a web browser, you can add, delete, and rename your bookmarks. Ordinarily, Webfiles allows you to grant read, read-write, or other permissions to individuals, to all Webfiles users, or to the world at large. If you wish only a certain group of Webfiles users to access one of your documents, you can define a group that includes just them, and then grant that group the desired privileges. You may specify a disk quota for any directory in your Webfiles account, placing a ceiling on the amount of data that may be stored in that directory. This can be useful if you create a directory for others to deposit documents, and you want to limit the amount of your 2Gb Webfiles storage capacity you wish consumed. You can also paritition your account, assigning a fraction of your storage to each one. This allows you to use one directory principally, but if you run out of space you can count on having some spare for short-term emergency use until you have a chance to delete some files. You can publish simple web sites using your Webfiles account by creating an index.html file, uploading it into one of your directories, and granting access permissions to others. The webfiles directory path (e.g., https://webfiles.uci.edu/UCInetID/directory/) becomes the URL for your new web site. WebDAV is a technology that allows you to access your Webfiles account as if it were a local directory, allowing you to view the files, open, edit, and save documents in place, browse sub-directories, drag-and-drop, etc. If you would like more information about Webfiles, consider attending one of OIT’s quarterly classes, accessbile through TED. The campus wireless network has enabled mobile computing for laptop and tablet computers for years. Faculty and staff may be less aware that NACS also offers services to users of handheld mobile devices such as iPhones and Blackberries. If you use Oracle Calendar to manage your appointments, NACS offers support for wireless synchronization so you can carry your calendar with you. Oracle Calendar offers two methods for synchronizing a personal digital assistant, Desktop Calendar Sync (for PDAs) or Mobile Data Sync (for smartphones and cell phones.) These methods are mutually exclusive, and should not be intermingled. For users of NACS’s Exchange server, you can get access to your email via Blackberry by using Blackberry Enterprise Server (BES) for Exchange. BES is a “push” technology meaning the Exchange server will update your Blackberry whenever new data (email, events) is delivered to your account. If you need help with these resources, or have other ideas how NACS can support mobile devices and technologies, please call x4-2222 or email nacs@uci.edu. Webfiles is a campus filesharing service available to faculty, staff, and graduate students. Using a simple Web interface, users can upload files to be shared and specify a wide variety of access restrictions, specifying individuals or groups, number of allowed accesses, or a time window of accessibility. NACS offers quarterly classes in the use of Webfiles. 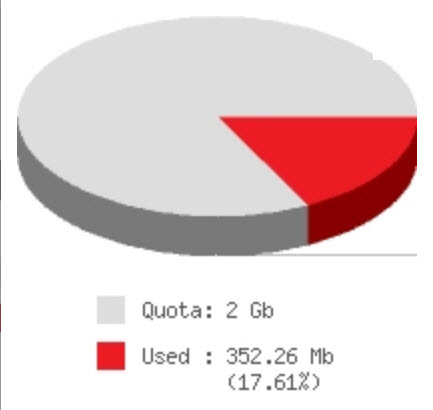 NACS has recently doubled the disk space available to users from 1 gigabyte (Gb) to 2Gb. More information on the use of Webfiles can be found online. Webfiles is a NACS service which offers a collaborative filesharing environment. Available to UCI faculty, staff and graduate students, Webfiles provides 1 gigabyte of space in which to place any type of electronic data — documents, spreadsheets, data files, binary media files, etc. These files can easily be shared, with read-only or read-write privileges, with other campus Webfiles users. The Webfiles system also offers “tickets,” which can facilitate sharing or collaborative editing with your colleagues outside of UCI. Among other features of this service, you can specify tickets which limit access time or number of uses, you can log all accesses to particular files, and Webfiles can maintain multiple versions of files being modified. Webfiles is a good alternative to the use of email attachments, especially for those projects which involve large files, or require repeated revisions among several collaborators. Webfiles training is offered quarterly. You can find out when the next session is scheduled at the NACS Training website .